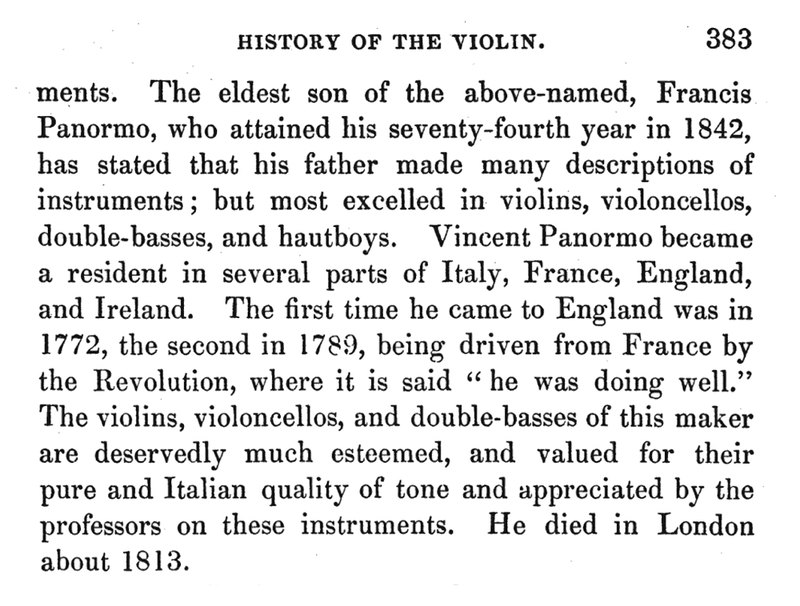 Much of what has been written about the life of Vincenzo Trusiano Panormo is based on information provided by his eldest son Francesco, subsequently published in The History of the Violin by Sandys and Forster in 1864. This included his date and place of birth, given as 30 November 1734 in the cathedral town of Monreale, just north of Palermo in Sicily, along with the assertion that Vincenzo made violins, cellos, double basses and various different wind instruments, and that he also worked in England, France and Ireland. Since then a few addresses have been suggested for Vincenzo in Paris, some more realistic than others, as well as instruments ascribed to both London and Dublin – yet there was no substantial evidence to confirm when he worked in those cities. Recent research has now firmly identified Vincenzo and his family as working in Palermo, Naples, Milan, Paris, Dublin and London, and this has enabled a much fuller picture to emerge of a greatly travelled man. 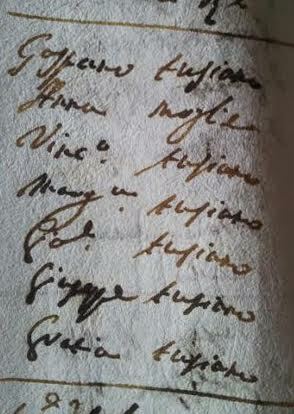 Extensive research by Giovanni Paolo di Stefano in Sicily has confirmed the origins of the Trusiano family in Palermo as well as their move to Naples, where the family name of Trusiano was supplanted by the now-familiar Panormo, the Latin form of Palermo. According to di Stefano, a thriving community of stringed instrument makers had existed in Palermo since the 16th century, located near the church of San Giuseppe dei Falegnami (St Joseph of the Carpenters) in the old Jewish area, appropriately named Ponticello. Although Palermo had close political ties to Naples, after four centuries of Spanish rule that ended only in the early 18th century, Sicily remained essentially Spanish. 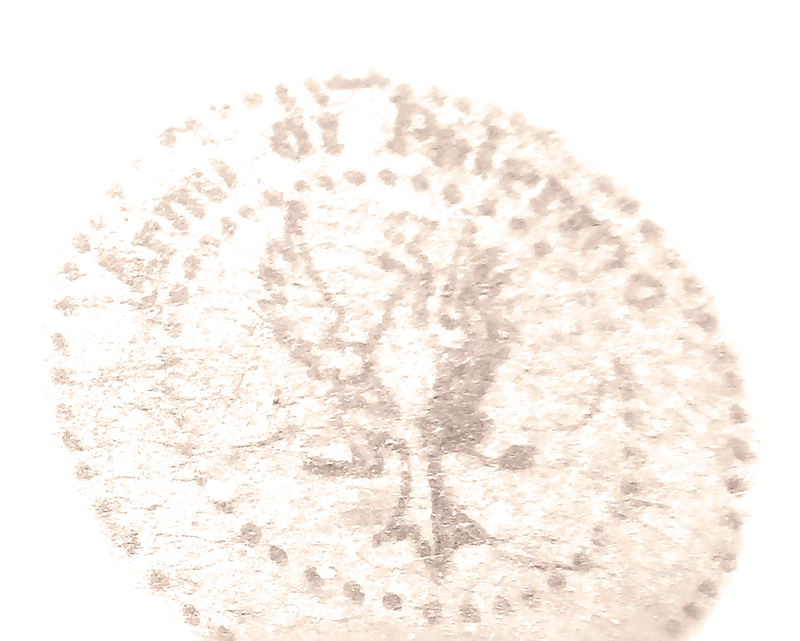 It was only in the 1760s that the Italian language was adopted for official documents. 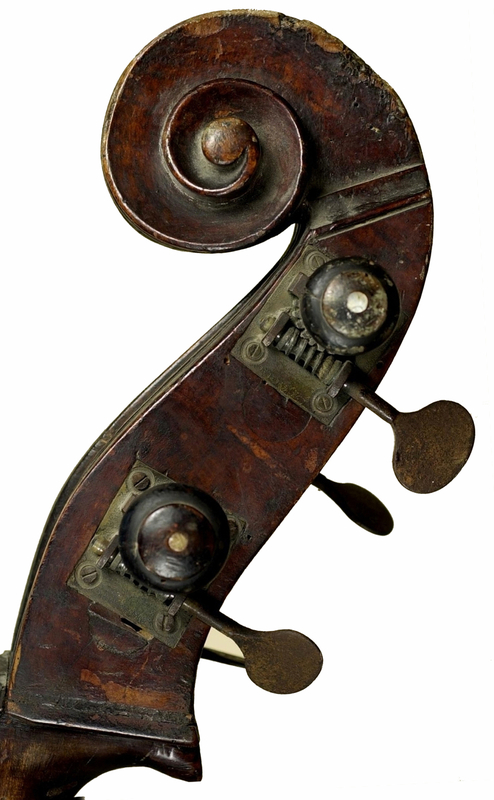 The earliest evidence of the Trusiano family’s involvement in musical instrument making is a composite double bass labelled ‘Gaspar Trusiano/Fecit/Panormi 1743’ now in private hands. In 1752 Gaspare Trusiano was described in a legal document as a ‘citarraro’ (musical instrument maker) and in 1754 the ‘maestri’ Gaspare, Rosario and Vincenzo Trusiano received a payment of 45 onze from the priest Celestino Maria Grassi on behalf of the monastery of Santissima Trinità in Giuliana. The church registers of San Nicola all’Albergeria show that during this time the Trusiano family lived in the carpenter’s neighbourhood known as the Isola di San Gaetano. The family comprised Gaspare, his wife Anna and five children named Vincenzo, Giovanni, Grazia, Margherita and Giuseppe; the eldest son, Rosario, was no longer living with the family. They appear to have moved before 1753 from the nearby Parish of St Cajetan, where both Giovanni and Grazia were baptised in 1746 and 1750. In 1734 Charles of Bourbon was crowned king of Naples and he became king of Sicily the following year, although his coronation proved to be the last time he set foot on the island. Despite his lack of interest in Sicily, Charles transformed Naples into one of the most magnificent capitals in Europe before inheriting the Spanish crown in 1759 and passing control of Naples and Sicily to his son, Ferdinand. Di Stefano believes that it was around this time Gaspare Trusiano, accompanied by Vincenzo and Giovanni, moved to Naples. The city was by now the fourth largest in Europe with a population of around 325,000 and another 3.5 million in the surrounding countryside – far larger than any other in Italy. Architecture and the arts flourished and after 1700 Naples even began to rival Venice in its enthusiasm for opera. This environment would have offered far greater opportunities than Palermo for Gaspare. Rosario, meanwhile, remained in Palermo, where in 1770 he attended the marriage of his daughter to Francesco Arienzo (one of the witnesses being Angelo Bonanno, a musical instrument maker). 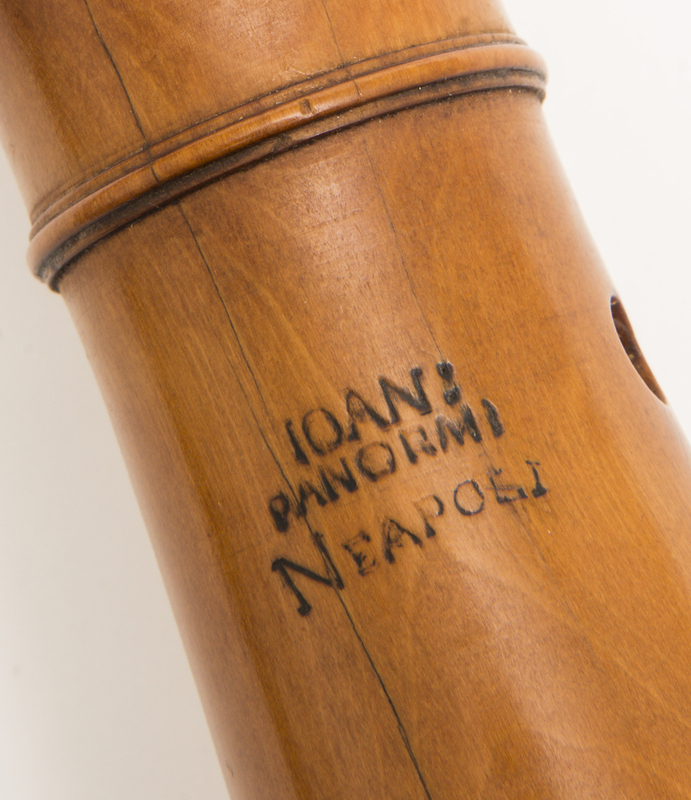 According to the research of Francesco Nocerino, the instrument curator at San Sebastiano in Naples, a contract shows that in 1770 Gaspare made two flutes and two oboes for the Royal Conservatoire in Naples. The agreement concludes that these instruments would be remade if they proved to be not in tune, perhaps suggesting the maker was a fairly recent arrival in the city and still something of an unknown quantity. Once established, the business seems to have thrived, with Gaspare, Giovanni and Vincenzo Trusiano Panormo all listed among 14 woodwind makers in a total of 120 musical instrument makers working in 18th-century Naples. 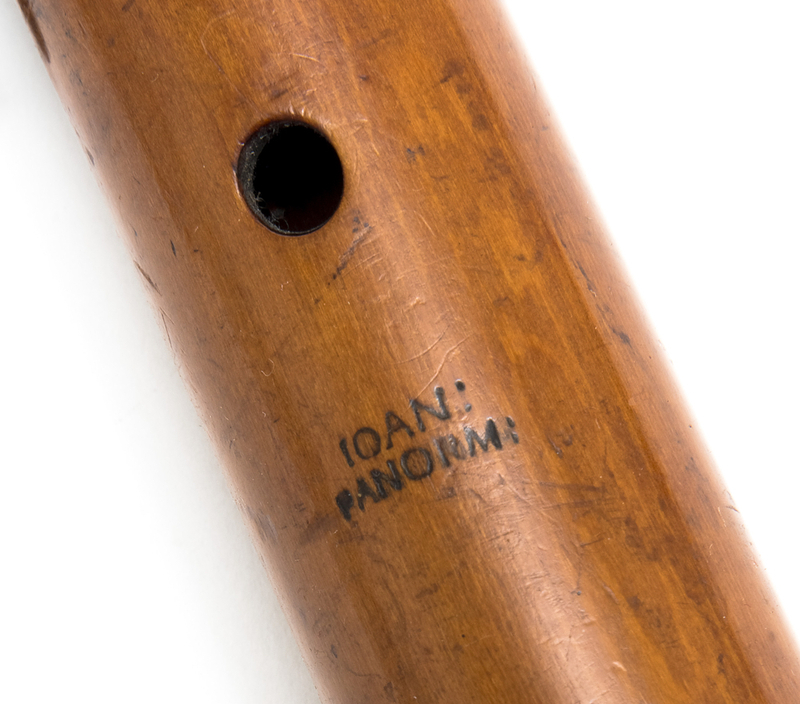 Surviving instruments bearing brands of ‘Panormo & Figli, Joannes, Giovanni and Vincenzo Panormo’ include flutes, oboes, clarinets and a recorder. The family went on to become the most important woodwind makers in Naples, but Vincenzo would not remain there for long. Giovanni did stay and in 1783, working under his own name (perhaps suggesting that Gaspare had died by this time), he supplied two flutes for the use of the orchestra of the Real Teatro del Fondo Seperaione. Giovanni was followed in the family business by his son, Gaspare II, and grandson, Giovanni II, who worked until the middle of the 19th century. 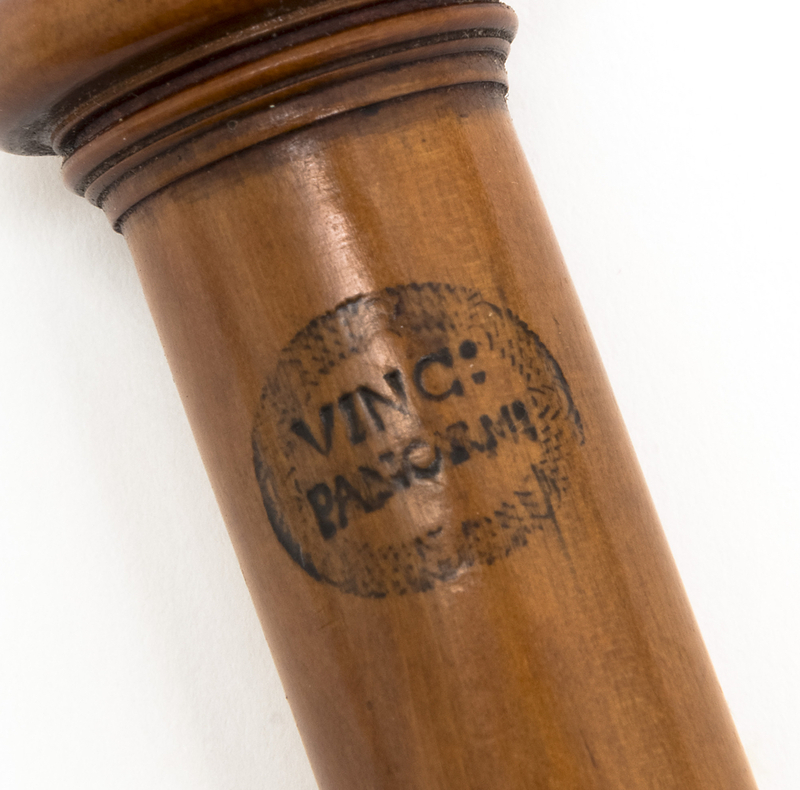 A catalogue of the Panormo firm from around 1835, most likely relating to Giovanni II, includes clarinets, flutes, piccolos, oboes and bassoons; also supplied but not necessarily made by Giovanni were horns, trombones and trumpets. It certainly appears Vincenzo also made woodwinds, although little credence has been given to Francesco’s assertion that his father Vincenzo ‘unassisted, from sixteen years of age, took delight in making various descriptions of musical instruments’ and that he ‘excelled in violins, violoncellos, double-basses and hautboys.’ Nevertheless this appears to be supported not only by an early double bass bearing a manuscript label ‘Vincenz** Trusiano/fecit Panormi/1752’ recorded by di Stefano (now housed in the Conservatorio Vincenzo Bellini di Palermo) but also by a boxwood flute and oboe, both branded from Naples. Although as yet we have no knowledge of where Vincenzo learnt violin making, given that we know Gaspare made double basses and probably other instruments too, it is to be expected that Vincenzo’s initial apprenticeship would have been with his father, or perhaps one of the 60 or more instrument makers who worked in Palermo in the 18th century. During his time in Naples, exposure to instruments of the Gagliano family may also have influenced his later work. Vincenzo was living in Naples for the birth of his second son Joseph in 1768 according to information provided by Joseph’s son Edward Ferdinand in the 19th century. However, Vincenzo’s eldest son Francesco claimed to have been born in Rome rather than Naples and was listed as such during his lifetime in the Sainsbury Dictionary of Musicians in 1824. He gave his age as 55 in the London census of 1821, implying he was born around 1765 or 66, but the age of 80 recorded on his death certificate in 1843 indicates a birth date of 1763. If so, it is plausible that Vincenzo briefly fled Naples as a consequence of the tragic famines that affected several parts of Italy in the early 1760s. In part 2 Andrew Fairfax traces Vincenzo’s route to Paris and his brief stay in London in the 1770s, while part 3 covers his period in Ireland and return to London around 1800. 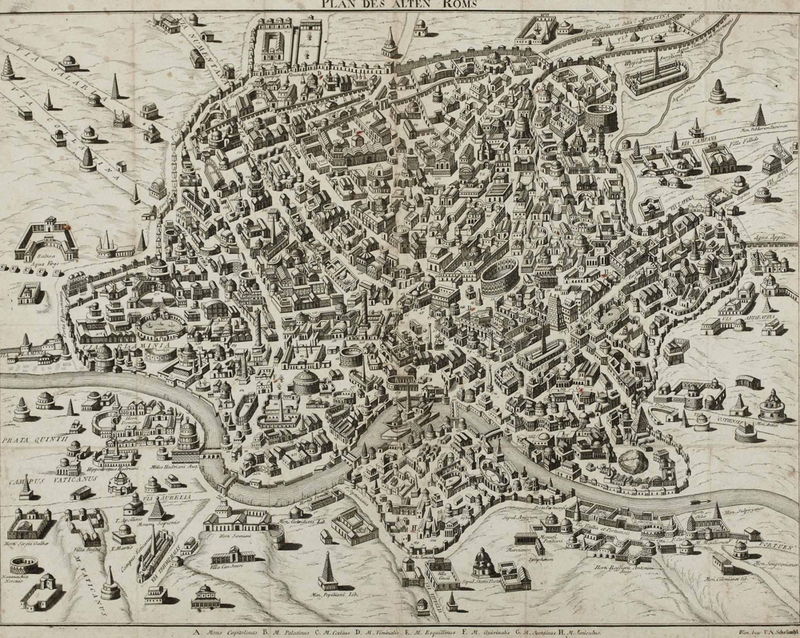 Map of Rome in the late 18th century – did the Panormos flee here from famine in nearby Naples? William Sandys and Simon Andrew Forster, History of the Violin, John Russell Smith, 1864. 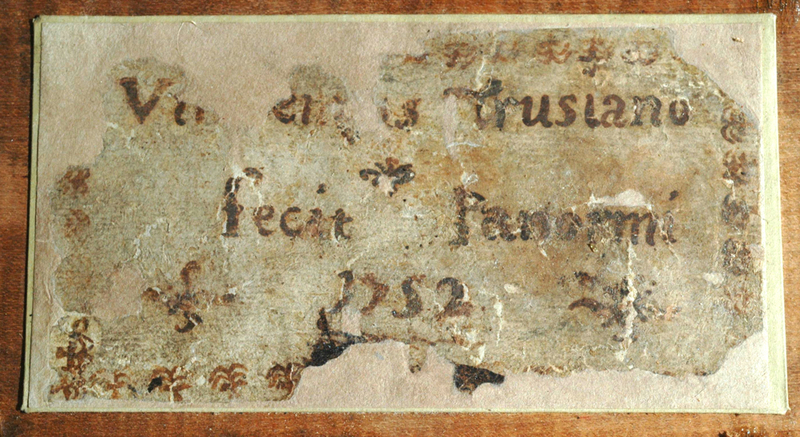 Giovanni Paolo di Stefano, Documentary Evidence Concerning the Early History of Vincenzo Trusiano and the Panormo Family of Instrument Makers in Italy, Violin Society of America, VSA Papers, Fall 2014. Martha Feldman, Opera and Sovereignty, Transforming Myths in Eighteenth Century Italy, University of Chicago Press, 2007. Francesco Nocerino, Gli strumenti musicali a Napoli nel secolo XVIII, in Storia della musica e dello spettacolo a Napoli. Il Settocento, F. Cotticelli & P.G. Maione (ed. ), Turchini Edizioni, 2009. Francesco Nocerino, Gli strumenti op. cit. Several brands are listed in different references: ‘Panorm & Figli’, ‘Panorm’, ‘Panormo’, ‘Vinci Panorm’, ‘IOAN PANORMO’, ‘PANORM/E FIGli’. Renato Meucci (ed.) Produzione e diffusione degli strumenti a fiato, tariffa per i prezzi degli stormenti che dal Sig. Panorm si costruiscono tanto di lagno, che di ottone… (1835) Reggio Calabria, Archivio di Sato, inv. 29, fascio 156, n. 167. Various theories exist about Vincenzo’s training. Henley wrote that he studied with one of the Bergonzis; John Dilworth suggested that he worked ‘possibly for a member of the Gagliano family’ (Tim Baker, John Dilworth and Andrew Fairfax, The British Violin, BVMA, 2001); Dennis Plowright speculated that he worked for a descendant of Carlo Bergonzi (Dennis G. Plowright, Dictionary of British Violin & Bow Makers, 1996). Richard Harrison, The Panormo Family, The Musical Opinion & Music Trade Review, December 1888.